PPhoto from the Donald A. Kaiser Collection, 1890-1895. By 1870 the original 1851 depot was hopelessly obsolete and planning for a new depot was started. The first depot sat close to Naghten Street causing several problems. Only the original Columbus & Xenia line properly aligned with the train shed requiring other lines coming from the west to pull pass the depot and back in. Backing a train was a time consuming and dangerous process. The passenger accommodations were inadequate. 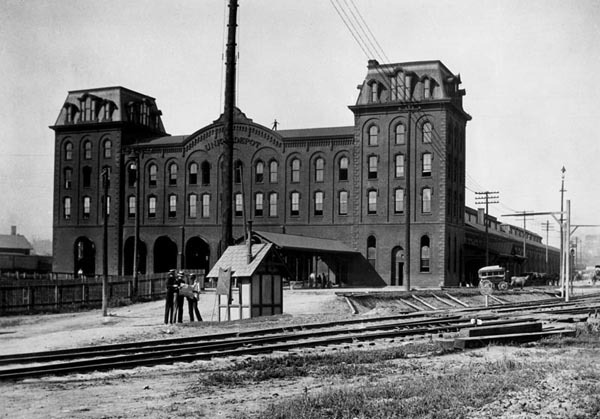 The Freight house near the depot was shared by the original railroads and inadequate to the growth in business. Track expansion had spilled over into Naghten Street. The train shed only had three tracks and was a wooden fire hazard. More railroads had been added to Columbus since it was built in 1851 and more were coming. High Street with multiple tracks crossing it was dangerous to wagons and pedestrians. The crossing was often blocked for long periods of time. The area north of the depot had seen development creating even more traffic wanting to cross the depot tracks. In 1875 Union Depot No. 2 was opened for business. The new depot doubled the number of tracks from three to six and later seven. It was constructed north of the old depot by about 500 feet. This allowed all railroads from the west to pass through the new 600 foot train shed without having to back into the depot. The old locomotive servicing facilities, car repair shops and freight house were relocated and each railroad got its own freight house. 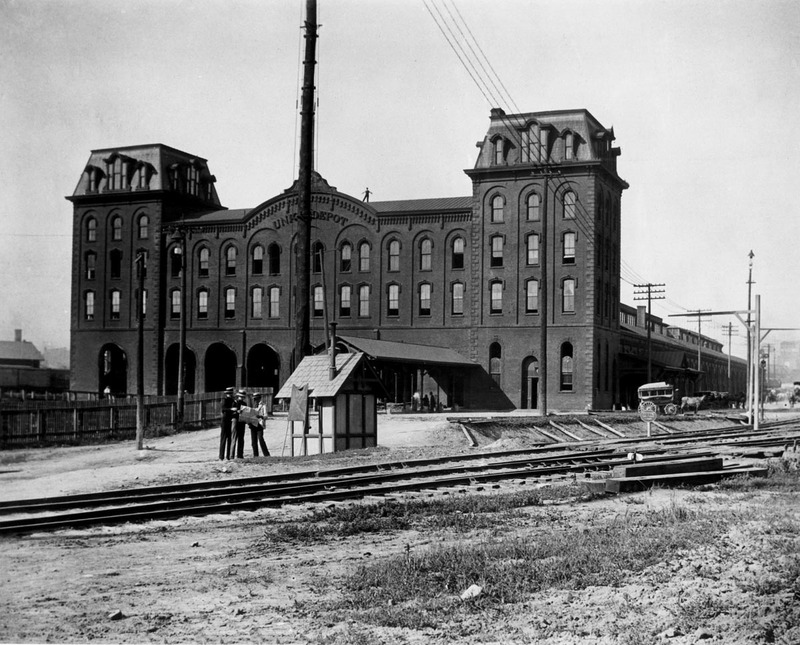 The depot had a four story head house on the west end facing High Street that provided office space. The passenger and baggage handling facilities were located along the south side of the train shed. To resolve the problem of trains blocking High Street a 500 foot tunnel was built under the ten tracks crossing High Street. The double bore tunnel was used by the horse drawn streetcars, wagons, carriages and pedestrians.